On Sept. 24, the John G. Riley Center/Museum celebrated its annual donor and membership reception launching the Smokey Hollow Reunion Weekend 2015. 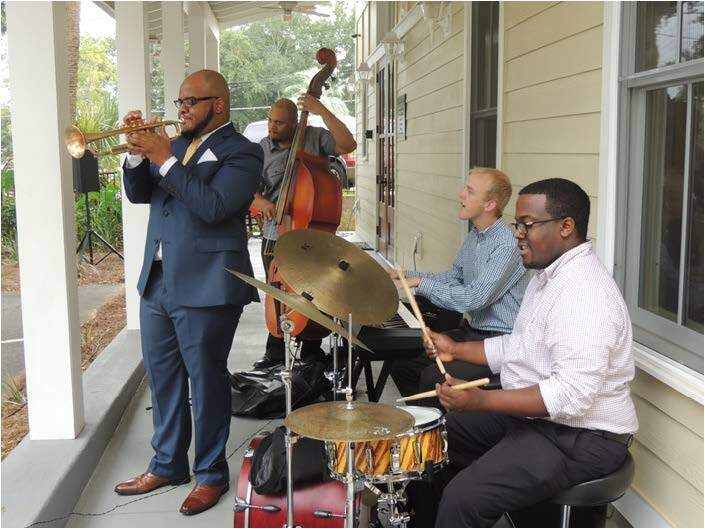 This reception not only celebrated the many donors and members of the John G. Riley House Center/ Museum, but these many community members were able to gather together to remember the life and the legacy that Mr. John G. Riley left in the Tallahassee and Smokey Hollow community, as he would’ve turned 158 years old. 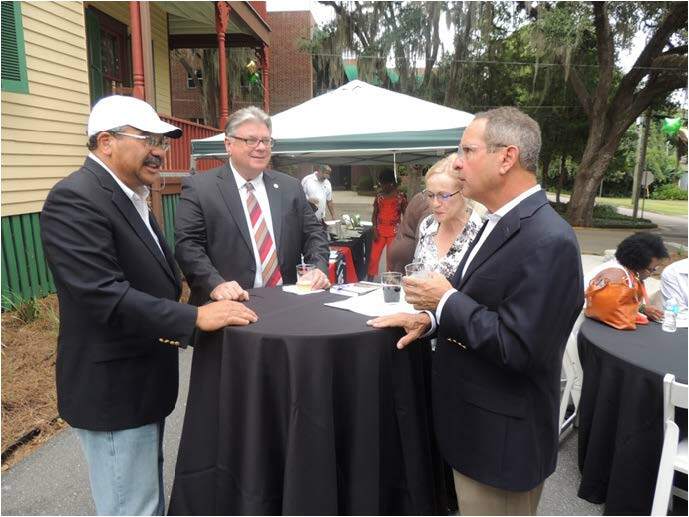 The membership reception was very warm and welcoming as the many community supporters in attendance were able to enjoy one another’s company by catching up with conversation, enjoying various hors d’oeuvres, listening to live jazz music and sipping fine wines and champagnes. 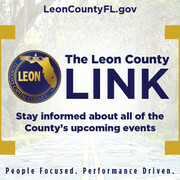 Of the many community members and donors in attendance was Leon County Commission Chairwoman Mary Ann Lindley. 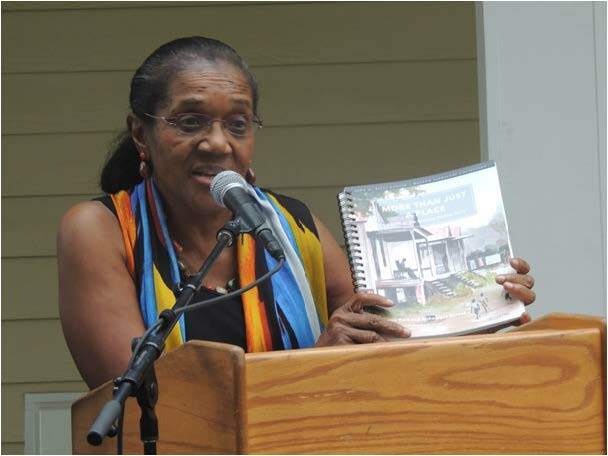 The celebration pressed on as the unveiling of the new publication titled “More than Just a Place – Part II of the Smokey Hollow Story” by Althemese Barnes and Julianne Hare was debuted. “Tonight was the culmination of a lot of long hard work,” says Juliannae Hare, who is a freelance writer and the owner of her own media production company called Rabbit’s Den Productions. “More than Just a Place – Part II of the Smokey Hollow Story” is a book highlighting the historical architectural landscape survey and vivid reflections of former residents who called Smokey Hollow home. 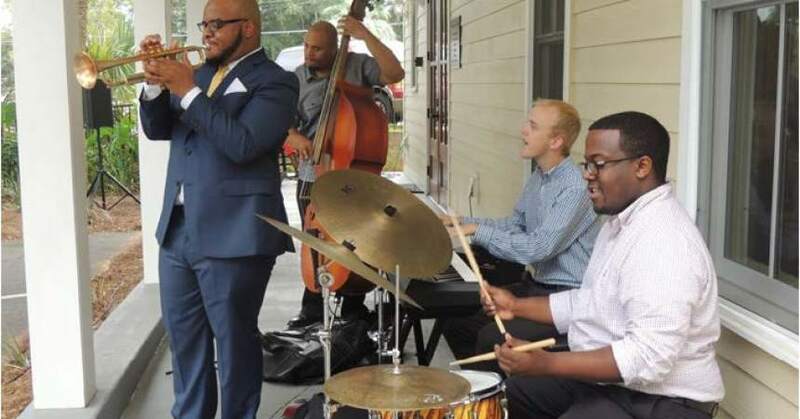 Smokey Hollow was once a community in the Tallahassee area, filled with a tight knit of thriving working-middle class African-American people that has now become extinct. Tallahassee’s Cascades Park and the Florida Department of Transportation, as well as various buildings in the adjacent vicinity, are the former home grounds and land in which Smokey Hollow used to exist. The only remaining artifact of the Smokey Hollow community is the home of John G. Riley (John G. Riley House Center/ Museum). Along the process of writing the first publication came a Historical Architectural Landscape Survey (HALS) about the story of Smokey Hollow, which is placed in the Library of Congress in Washington D.C.
“Some people may not make it to Washington to read about Smokey Hollow, so we said why don’t we make a sequel,” says co-author Althemese Barnes, who is the founder of the John G. Riley House Center/ Museum and a Tallahassee native. Barnes and Hare made sure to include the HALS as well as information provided from members of the Smokey Hollow community who were not included in their initial publication. “We decided to name it more than a place because there’s a lot of talk about place-making. We wanted to make it known that Smokey Hollow was more than a place. It was life; it was survival; it was struggle; it was triumph,” Barnes adds. As the night progressed, all in attendance sung and wished Mr. John G. Riley a happy birthday as they enjoyed birthday cake and laughs as board members, supporters and former Smokey Hollow residents enjoyed what was a remarkable night and remembrance of a special man and a special community in the Tallahassee area. For more information on the John G. Riley House Center/ Museum and the Smokey Hollow community and to find out how you can become a member or donor: visit RileyMuseum.org . The self-esteem of a young woman: How much has changed since the 1940s “Doll Test”?